ASPHostPortal is the leading provider of Windows hosting and affordable ASP.NET MVC 5. Our price starts from $4.49 per month. ASP.NET MVC 5.0 is a framework for developing highly testable and maintainable Web applications by leveraging the Model-View-Controller (MVC) pattern. ASP.NET MVC 5 is built on ASP.NET 4.0, developers can take advantage of existing Asp.net features like authentication and authorization, profile settings, localization etc. Be one of the first to try out our newest MVC 5.0 Hosting service! 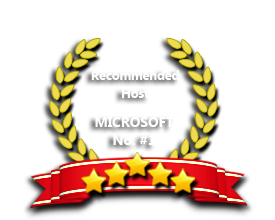 ASPHostPortal.com is one of the first hosting company to offer the latest micosoft MVC 5.0 hosting technology. MVC project templates integrated with new ASP.NET One. You can change the MVC project and configure an ASP.NET authentication using One project creation wizard. Authentication Filters (filter Authentication) is something new in ASP.NET MVC running for authentication filter in ASP.NET MVC pipeline and allows you to authenticate logic more specific per-action, per-controller or globally for all controllers. Our Windows Cloud Hosting fully supports ASP.NET MVC 5.0 hosting. You are more than welcome to try our Free Windows Cloud Hosting before you decide to buy. You can get your Free Cloud Windows hosting account up and running within the next few minutes.